One of the stories at Ridgefield this winter has been the American bitterns which have been putting on a show at several spots around the auto tour during many of my visits. I’ve always been on the lookout for bitterns so I’m not sure why I’ve had so much success watching them hunt lately, although it may have something to do with the fact that I spent far more time at the refuge over the Christmas break than I usually do. 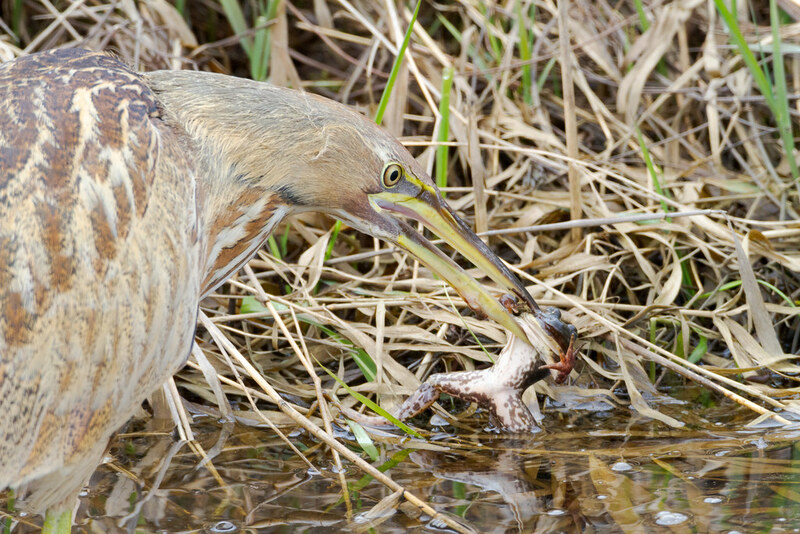 This bittern was mostly snagging small fish as it worked the channel beside Rest Lake, but at one point it stopped and started wiggling its neck side to side and then struck into the middle of the channel, bringing up this bullfrog. Bullfrogs themselves are voracious predators and, since they aren’t native to the Northwest, have combined with habitat loss to cause problems for some of our natives. This little bittern was doing its part to turn the tables and win one for the home team. There are a handful of true falcons that typically breed in North America, all belonging to the genus Falco, with the smallest being the American kestrel (falco sparverius). 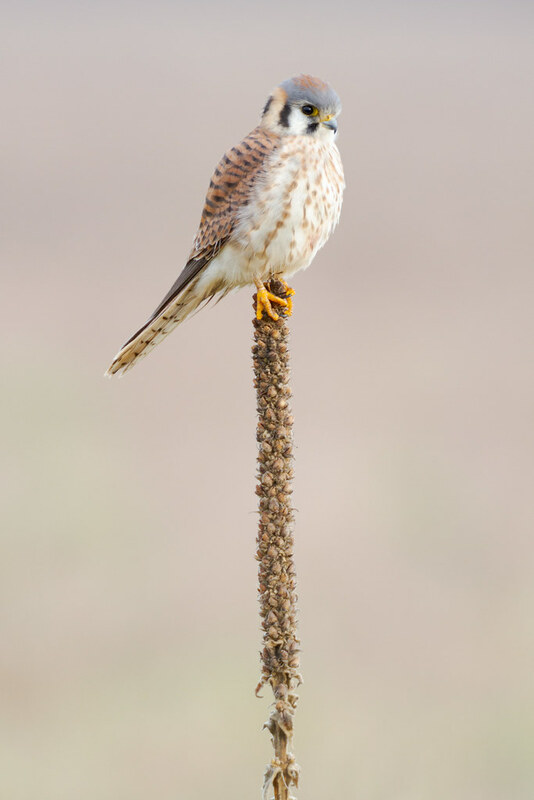 The kestrels at Ridgefield are pretty wary and often won’t stay perched if you pass on the auto tour, and probably for good reason, as there are a number of other birds of prey that share these hunting grounds that dwarf the little falcons in size. This lovely female was a ways off the road and stayed still for a few pictures before she took to the skies again to resume the hunt.